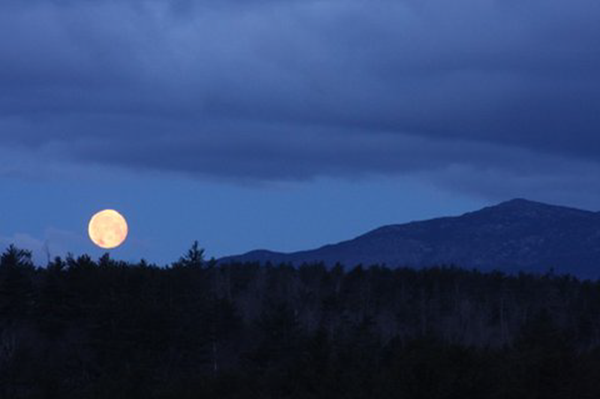 The Monadnock Region has always served as a source of energy and inspiration for those with spiritual yearnings. This Conversation is about how the spirit of our daily lives here is influenced by our surroundings, and what resources are available for people seeking to further explore and develop their expression of spirituality. Phillp Gammons: Baha’i Faith, Property Manager of the Historic Dublin Inn, which serves as the local Baha’i meeting place. Community Conversations is a series that explores many of the issues impacting our communities. A partnership between the Monadnock Center for History and Culture, and the Monadnock Ledger-Transcript, each Conversation features local experts talking about challenges faced by our communities. Some issues are global in nature, but each conversation is designed to examine the topic from a local perspective. The program provides residents with the opportunity to learn more about key issues impacting their communities, to engage in a civil dialog with speakers and with each other, and to come away with a sense that there are things that individuals and communities can do to foster change and improvement. Community Conversations are held in Bass Hall at the Monadnock Center for History and Culture, 19 Grove St, in Peterborough. Swift has lived in Peterborough for 27 years. His wife Beth and he have raised 3 children who are all grown and out of the pod. He is a consulting forester who works in a radius around Peterborough extending into Vermont to well beyond Concord and up into the White Mountains. Much of his work involves thinking long term about the way the private forest land is managed. He believes in the viability of the working landscape and is amazed that it is a miracle of productivity and constant change. His travels let him see opportunities for good photography which he is often sharing. He has been a long time member of the Peterborough Conservation Commission. In his spare time he likes to work on trails like the Cranberry Meadow Pond Trail and the recently completed Evans Flat Trail. Rev. Dawn Garrett-Larsen is pastor of the Nelson Congregational Church, UCC where she has served for the past 14 years. Previous to that she served the Federated Church of Marlborough for 8 – 1/2 years. She dances with the Midnight Rapper Sword Team, was a member of the Harrisville Women Morris Dancers for many years, and is practicing with a new Border Morris team that is not yet named. Dawn directs a summer musical theater camp at The Well School each summer. She loves to sing, dance, hike, canoe and kayak. Dawn and her husband Jay live in Dublin and have two children. Their daughter, Annie, is a Sophomore at Bard College and son, Jesse, is a Senior at The Dublin School. Hari Kirin Kaur Khalsa is the author of Art & Yoga: Kundalini Awakening in Everyday Life, and has been quoted in Yoga Journal, Yoga International, and Spirituality & Health magazines. She is a teacher, artist and a board member of the 3HO Foundation International. She owns and directs SOUL Yoga in the Union Milll in Peterborough, NH. She has been a visiting lecturer at Boston University, Marlboro College, Hofstra University, Smith College, the New Hampshire Art Institute and Maine College of Art. She teaches regularly at Kripalu Center for Yoga and Health and a yoga centers around the world. Phillip Gammons and his wife Ruthie are originally from Connecticut. Since 2006 they have been managing the Historic Dublin Inn, hosting many events for the public and the Baha’i community, including monthly devotional gatherings. There have been Baha’is in the part of New Hampshire since approx. 1912. During 1912 Abdu’l-Baha, the son of Baha’u’llah – the Prophet-Founder of the Baha’i Faith, travelled to the United States for an extended visit and stayed at the Dublin Inn.